April 2009 ~ Life after Thirty.. I love smartphones! Why?? It all started when I damaged my first phone back when I was in the Army. It was an Alcatel, I think! I lost all my phone numbers, and I made it a condition that any phone I get from now on *HAD* to support the ability to back up my phone numbers. At first it was a manual job. I had a piece of paper I kept in my wallet, with all the numbers, but I knew there should be a way of doing this. I didnt want to do this manually anymore.. I left the Army, and went to University. I discovered the ability to create my own logos and ringtones with a piece of software, but wasn't entrepreneurial enough to make money like a lot of people did back then. I just did it for friends! This software, also allowed me to back up my phone to a database where I could actually adjust the numbers. I was using Nokias a lot. I had a business grade Nokia for a long, long time and it was a perfect phone. Nokia was clever enough to realise that the Interface had to be intuitive, and tried not to change it to alienate there growing customer base. I remember when everyone had a Nokia 3310 at one point! However, Nokias still didn't do it automatically. Thats when I discovered Smartphones.. well actually an Orange SPV C500 running the Windows Mobile OS. I could use ActiveSync to sync not just my contacts with Outlook, but also my calendar. It was brilliant, and as a longtime Orange User I was over the moon.. It even allowed me to download programs onto the device, but they never seemd to work that well. A bonus of this phone, was that the back-up cable was USB to Mini-USB and it also charged the phone. It was a no brainer, to use this lead as the charger. I had this phone for about three years, and its still my backup phone sitting in my drawer just in case it all goes wrong. When I got back from travelling, I used a friends old Orange SPV C550 for a long time, and I had discovered the ability to surf the web using my phone. I was always hoping that Orange would give me a decent data package, so it wouldn't cost me much but it seemed to be about £10 for 1mb per month. It just wasn't good enough. I switched providers.. When I joined T-Mobile I opted to move away from Windows Mobile, and back to Nokia with the Symbian S60 OS. It was pretty simple, and had an extremely easy to use intuitive OS. I could even download programs onto my Nokia e51. 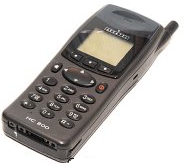 When my business phone came up for renewal, I even chose a black e51.. why?? Well, if the battery died on one then I could swap them out really easy. A 2gb micro-SD card is great to store some music on, and I even discovered th pain of using Bluetooth headsets. I still swear by a single headphone at the end of a wire for my handsfree kit! Anyway my contract has lapsed about four months ago and I have been on the lookout for a new phone... you are probably thinking the Apple iPhone..
No, I want the Google Android..
After reading a blog post by Behind Blue Eyes today, I wanted to re-post. Very soon, you will see a great many people wearing Red every Friday. The reason? 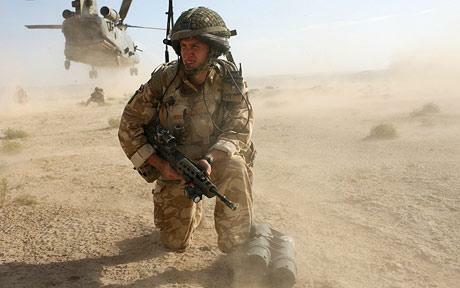 British men and women who support our troops used to be called the ’silent majority’. We are no longer silent, and are voicing our love for Country and home in record breaking numbers. We are not organized, boisterous or over-bearing. We get no liberal media coverage on TV, to reflect our message or our opinions. Many English people, like you, me and all our friends, simply want to recognize that the vast majority of Britain supports our troops. By word of mouth, press, TV — let’s make Great Britain on every Friday a sea of red much like a homecoming football team If every one of us who loves this country will share this with acquaintances, co-workers, friends, and family, It will not be long before Britain is covered in RED and it will let our troops know the once ’silent’ majority is on their side more than ever, certainly more than the media lets on. The first thing a soldier says when asked ‘What can we do to make things better for you?’ is…’We need your support and your prayers’… Let’s get the word out and lead with class and dignity, by example; and wear something red every Friday. IF YOU AGREE — THEN SEND THIS ON - IF YOU COULD NOT CARE LESS THEN HIT THE DELETE BUTTON. IT IS YOUR CHOICE. THEIR BLOOD RUNS RED—- SO WEAR RED! Lest we Forget. You don't have to. But this country is slowly going south. Its time to stand up, and be counted for what you believe in. Don't be a part of the silent majority. I am not asking you to stand up and shout. Just do something and support our boys. Moving through the terminal was a group of soldiers in their uniforms, as they began heading to their gate everyone (well almost everyone) was abruptly to their feet with their hands waving and cheering. When I saw the soldiers, probably 30-40 of them, being applauded and cheered for, it hit me. I’m not alone. I’m not the only red blooded Briton who still loves this country and supports our troops and their families. Of course I immediately stopped and began clapping for these young unsung heroes who are putting their lives on the line everyday for us so we can go to school, work, and enjoy our home without fear or reprisal. Just when I thought I could not be more proud of my country or of our service men and women a young girl, not more than 6 or 7 years old, ran up to one of the male soldiers. He knelt down and said ‘hi,’ the little girl then asked him if he would give something to her daddy for her. The young soldier didn’t look any older than maybe 22 years old himself, said he would try and what did she want to give to her daddy. Suddenly the little girl grabbed the neck of this soldier, gave him the biggest hug she could muster and then kissed him on the cheek. The mother of the little girl, who said her daughters name was Courtney, told the young soldier that her husband was a Corporal and had been in Afghanistan for 5 months now. As the mum was explaining how much her daughter, Courtney, missed her father, the young soldier began to tear up. When this temporarily single mum was done explaining her situation, all of the soldiers huddled together for a brief second. Then one of the other servicemen pulled out a military looking walkie-talkie. They started playing with the device and talking back and forth on it. After about 10-15 seconds of this, the young soldier walked back over to Courtney, bent down and said this to her, ‘I spoke to your daddy and he told me to give this to you.’ He then hugged this little girl that he had just met and gave her a Kiss on the cheek. He finished by saying ‘Your daddy told me to tell you that he loves you more than anything and he is coming home very soon.’ The mum at this point was crying almost uncontrollably and as the young soldier stood to his feet he saluted Courtney and her mum. If you a little digging around, you are going to discover the snopes page. I don't care.